Magpul has made a big name for themselves by making high quality and high value polymer based products. During their beginning years, they mainly focused on the AR-15. However, more recently Magpul has decided to expand their product like to include other weapons platforms, such as the AK and the Glock line of pistols. This new Magpul PMAG is designed for use in the Glock 19 and has some very impressive features all while coming to you at a low sale price! 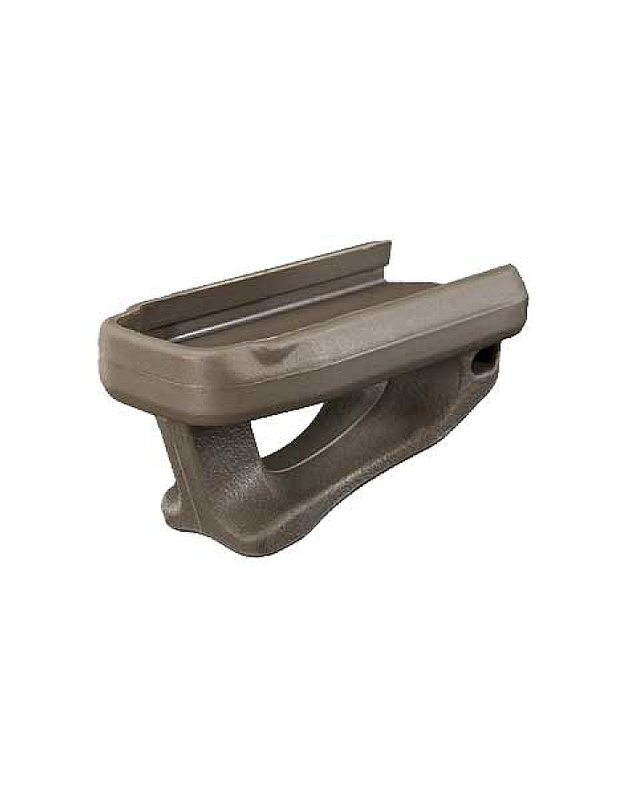 Magpul is well versed in making very well received polymer based products. They have a long history of working with polymer and ensuring that their products, including their PMAGs as able to stand up to hard use. The Glock 19 PMAG is no different. 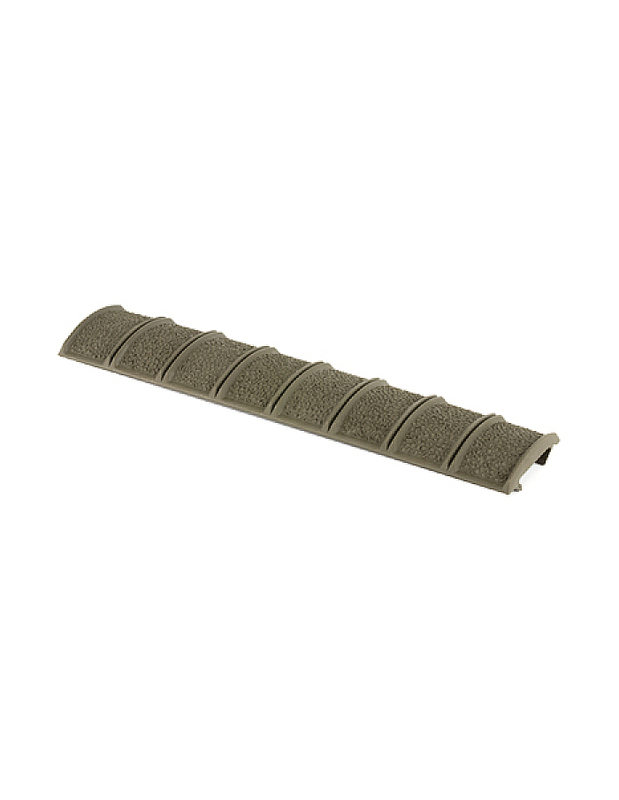 This PMAG is made from a very durable, light weight and impact resistant polymer. The polymer used in the glock magazine is very stiff and able to withstand hard use. The magazine is designed with robust feed lips to ensure that it will give you a long service life. Since the magazine is primarily made from polymer, it is extremely corrosion resistant. The polymer also allows this Glock19 magazine to be available at a very cheap price! 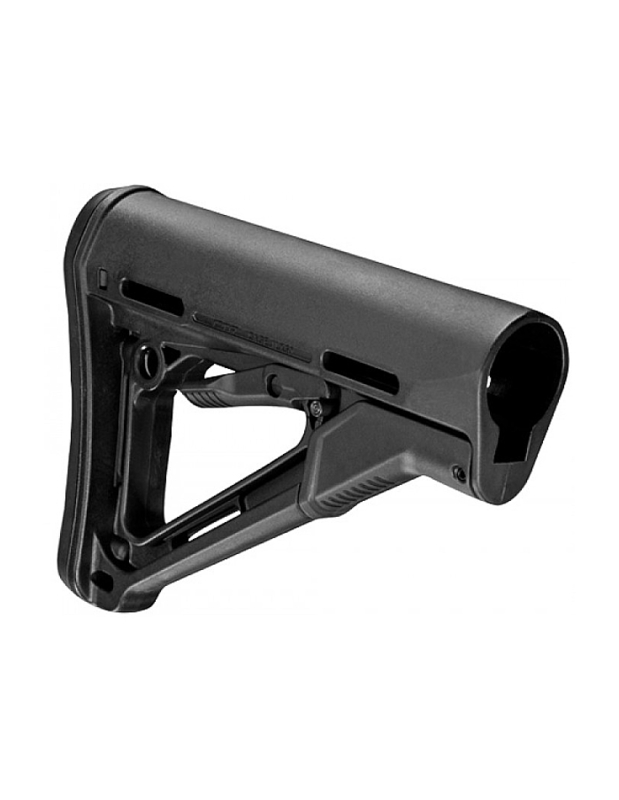 Magpul uses a stainless steel spring in the PMAG 15 GL9. The stainless spring provides a firm and constant upward pressure to ensure smooth feeding. Stainless steel is an excellent spring material and is able to withstand a very high number on cycles while maintaining a high spring pressure. In addition to this the stainless steel is extremely corrosion resistant ensuring that this magazine will give you a long, reliable service life. Magpul made a name for themselves by engineering an anti-tilt follower for the AR-15 magazines in 2004. They have a long history of making reliable and functional magazine components. Magpul continues this impressive history by making another excellent follower for the Glock 10 PMAG. The PMAG 15 GL9 has a high visibility controlled tilt follower. The high visibility follower allows you to easily identify if the magazine is loaded or not. In addition to this, the limited tilt follower helps to increase reliability by reducing the likelihood of the follower binding in the magazine. The results is smooth, reliable feeding for your Glock pistol, every time. The floor plate used in the Magpul Glock 19 magazine has several advantages of the OEM Glock 19 factory magazine. The profile of the Glock 19 PMAG is quite different than that or an original magazine. The PMAG floor plate is flared. This makes the magazine easier to remove from a magazine pouch and also give the shooter better leverage, should the magazine become lodged in the magazine well due to malfunction. The floor plate also features Magpul’s new paint pen dot matrix. This dot matrix allows you to easily mark your magazine for identification. This can help you to keep your magazines in rotation or identify your magazines from the magazines of someone else. The best feature of the Glock PMAG is that it is very easily removable. This is in stark contrast to the OEM Glock magazines that require special tooling and quite a bit of effort in order to remove the magazine. The Glock PMAG base plate can be easily removed by depressing the locking plate with the tip of a bullet and then simply sliding off the base plate. This makes for very simple and easy cleaning and maintenance of your mag. 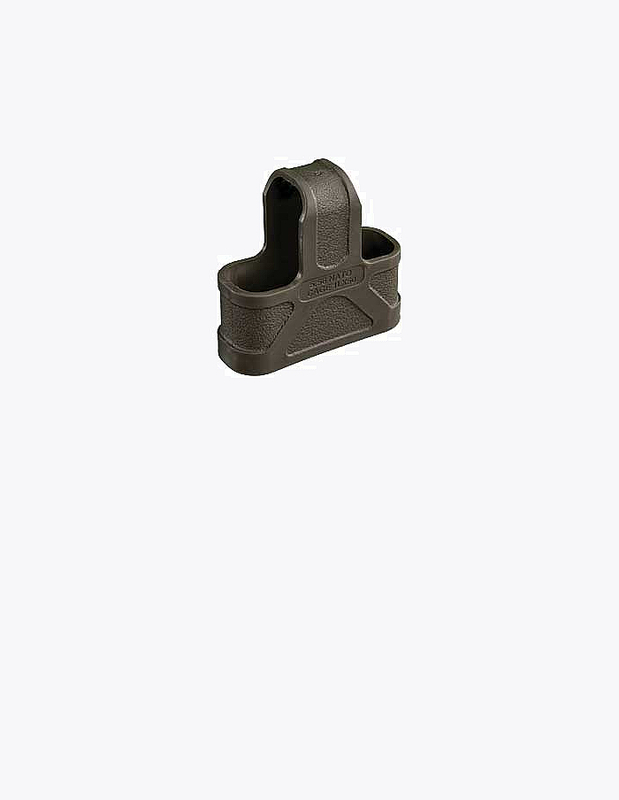 Magpul is also now making the Glock L-Plate so specific applications. The body of the Glock 19 mag is made from polymer. The polymer is impact resistance and made for hard use. The mag body features a witness hole that allows you to determine if the magazine is fully loaded. These indicator windows are located on both sides of the mag body. The Magpul PMAG 15 GL 9 is primarily designed to be used in the Glock 19. However, it can also be used in the Glock 26. This magazine holes 15 rounds of 9mm ammunition. 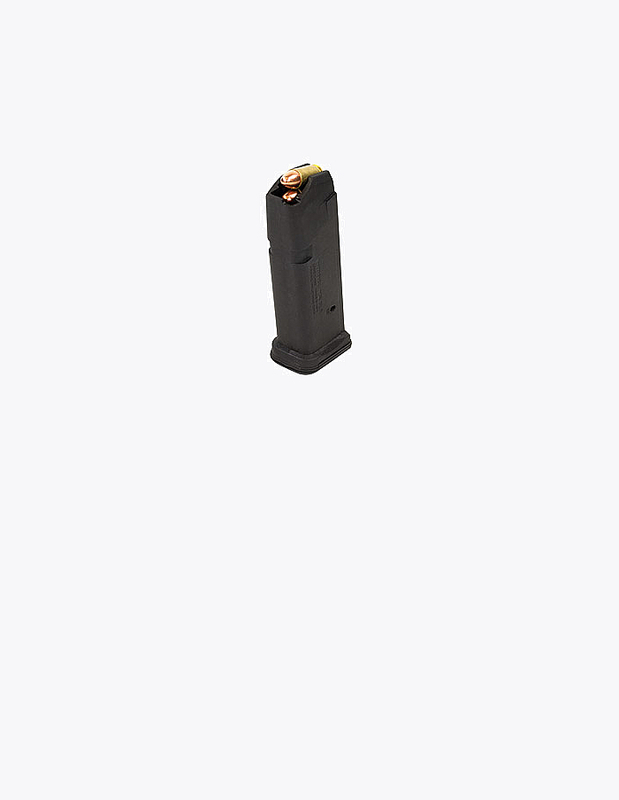 The magazine is designed to easily drop free from your glock whether it is loaded or unloaded. The magazine will activate the slide lock after the last round is fired with the magazine inserted in the pistol. What pistols is this magazine compatible with? Does this magazine have a metal reinforced body? Will this magazine accept Glock base plates or base plates designed for OEM Glock magazines? No. This magazine will only accept Magpul proprietary base plates. Does this magazine have the witness holes in the back like original Glock magazines? No, the Glock PMAGs have a single witness hole to indicate when they are fully loaded. They do not feature witness holes for every round loaded.